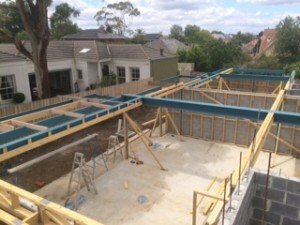 Construction of our latest multi-construction project at 12 Mountain Grove, Kew is well underway!! This large 4-townhouse development with full basement is due for completion in July/August 2015. Virgon Constructions is very pleased and proud to add this gorgeous and complex construction project to their portfolio. Virgon enjoys the challenges every unique projects brings – with a strong team and highly skilled contractors, Virgon deliver quality projects on time and on budget. Give Virgon Construction’s the opportunity to ESTIMATE your upcoming project and add value to your next venture. To read more about our Mountain Grove project and our other projects click here.